Hard flooring is usually a valuable interior feature which requires proper care and maintenance, and that also includes effective cleaning on a regular basis. Professional cleaning treatment, performed on a regular basis can prolong the life of hard floors and keep them looking better for longer, thus saving property owners certain untimely expenses associated with repair and replacement of hard flooring surfaces. The cleaning products and materials we use for hard floor cleaning are safe and will not alter or affect the appearance or characteristics of the above mentioned hard floors. Please be advised that clouding, scratches or any other chemical or physical damage previously sustained by floors cannot be reversed, even by professional cleaning treatment such as ours. Various types of hard flooring require different cleaning treatment, and use of the correct products, applied in the right order. For best results and no risk of damage, our cleaning technicians will carefully review the type of hard floor subject to cleaning and apply the right set of cleaning products. We are very serious about outstanding results and highly efficient cleaning this is why we prefer to go the extra length and ensure your hard floors are perfectly clean. Having to clean hard floors properly is tedious, time consuming, takes certain level of skill and for best results needs doing regularly. All of these can be a hassle for some people, especially those who don’t really have the time to invest in such demanding cleaning chores. 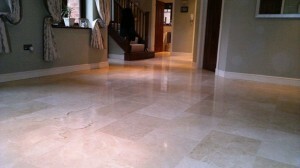 Our professional hard floor cleaning at Cleaners Liverpool provides the solution. 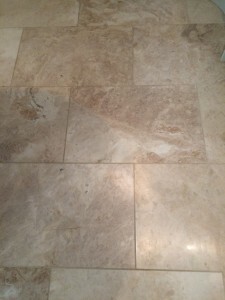 We will perform hard floor cleaning as often as customers require. The service is available as one off or on a fixed schedule basis. The regular cleaning option is ideal for commercial establishments and offices which require perfectly clean floors for the most part of the week. The cleaning can be carried out in a suitable time of day, including weekends or public holidays. To our domestic customer, we can also provide flexible and convenient service hours, seven days a week. Frequency of regular cleaning visits depends entirely on customer preferences and availability. Yielding the necessary level of results when it comes to hard floor cleaning will take a certain amount of time, so please bear with our cleaning teams for the time being, they will be out of your way as soon as possible. The service is reasonably priced and should not be a problem for your household or company budget. For extra value for money, hard floor cleaning as well as kitchen cleaning can be combined with one or more of our other professional cleaning treatments.